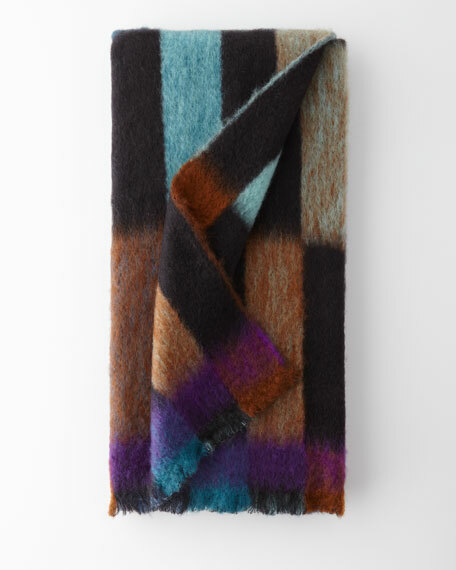 Handcrafted throw blanket in colorblock pattern. 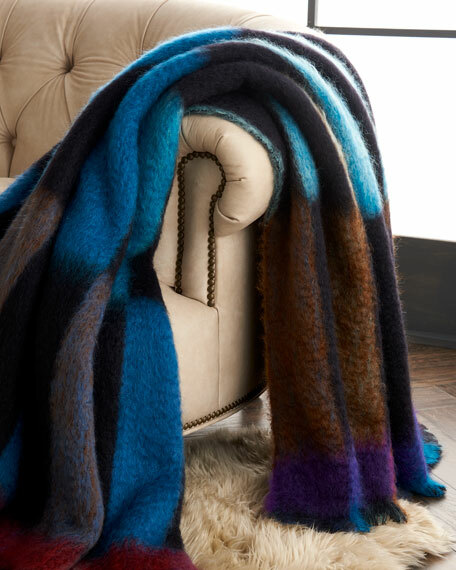 Notable among others fibers, mohair is thermo regulator, it adapts to the person wearing it temperature without overwhelming and becoming more or less warm as the ambient temperature. Repels dust, which prevents dirt from sticking to the fiber. Design, softness, shine, low moisture retention and effectively protection against the cold.